Type 2 diabetes Remission Possible After Weight Loss Alone? Type 2 diabetes was once considered a long-term disease that progressively worsens, but exciting news detailing results from a recent trial challenges this belief and offers hope to millions of sufferers. 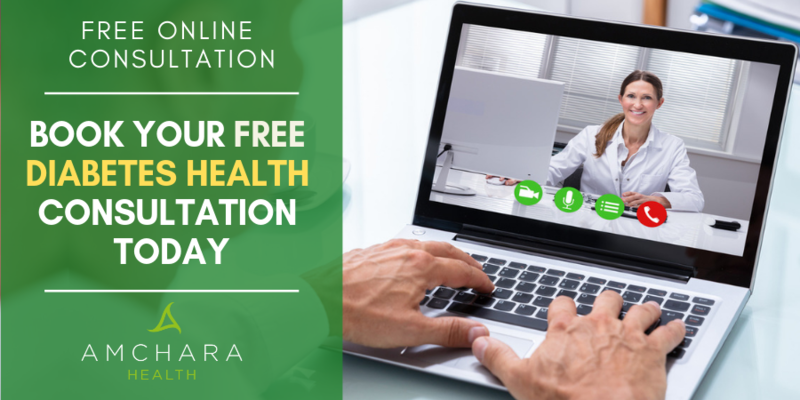 Our mission is to provide you with both insightful information and evidence-based content, all orientated towards the Personalised Health approach, with actionable knowledge and tips to help you on your journey to optimal health. What happened in the trial? Why does weight loss make a difference? According to a weight loss programme led by GPs, this eating regime worked for more than a third of the patients that participated. This is not the first time reducing body fat has been recommended as an effective way to keep Type 2 diabetes at bay and reduce the need for medication. Results from the study also put paid to the long-held belief within the medical profession that Type 2 diabetes is a life-long progressive condition. Insulin, a hormone produced by beta cells in the pancreas, is responsible for keeping blood sugar in check by helping it to enter cells in muscles, fat and the liver, to be used for energy. However, in Type 2 diabetes, the body is unable to produce enough insulin, or the cells simply don’t respond to it. In total, 149 people from Scotland and Tyneside took part in the trial, which consisted of 12-30 weeks of low calorie diet shakes and drinks. Solid food was gradually re-introduced at the end of this period. One of the patients who took part in the study had struggled to keep his blood sugar under control since his diagnosis of Type 2 diabetes six years previously. Although he found the trial diet of just low calorie shakes really challenging, he very quickly saw results. His weight dropped from 14st 2Ib to 11st 4Ib in just 3 months. Two years later his weight remains stable at approximately 12st. After one year, of all the people that took part in the trial, 46% had gone into remission compared to only 4% who had been given standard treatment, including pharmaceutical drugs. Two years later 36% are still in remission and have no need for medication. The key seems to lie in how weight loss affects the efficiency of beta cells. The patients who responded well to the trial demonstrated both early and sustained improvements in their pancreatic beta cell function. Pancreatic beta cells secrete insulin in two phases, in response to increased blood glucose concentrations. However, there was a noticeable increase in first phase insulin secretion amongst those that responded well after weight loss. 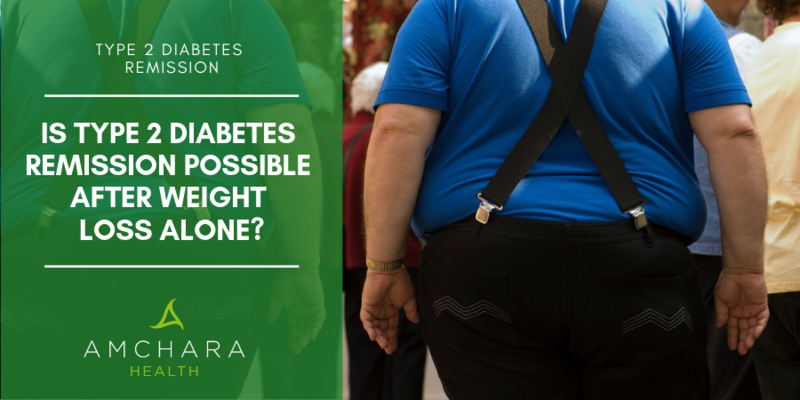 Although results from the trial are hugely encouraging for diabetes sufferers, medical experts are reluctant to accept weight loss as a guaranteed pathway to Type 2 diabetes remission. There were some disappointing aspects of the trial that warrant further investigation. Long term results identified that for a minority of patients (16%), Type 2 diabetes had returned even though they had kept 15kg of weight off for more than 2 years. It is not clear why these individuals were unsuccessful; genetic and dietary factors may have contributed. Type 2 diabetes is a complex condition so this kind of dietary approach may not work for everyone. However, after carrying out some investigations, collaborators in the trial concluded there may be some differences between the patients that influenced the results. Despite all participants in the study losing comparable amounts of weight, it seems the only difference between the responders and non-responders appeared to be the length of time they had been diagnosed with Type 2 diabetes. The patients that had experienced Type 2 diabetes for less time had beta cells that recovered more rapidly. Overall findings from the trial suggest that weight loss normalises fat metabolism in all patients with Type 2 diabetes, but the speed at which the beta cells are able to recover prevents some people from returning to a non-diabetic state. Even though the successful outcome of the trial is exciting, medical experts agree that more research is needed. Further targeted work should help to improve the understanding of how and why beta cell function changes. In the meantime, based on the trial’s favourable results, the NHS is planning on piloting the programme in England. In Scotland, they have already started implementing similar schemes. It should be noted that this type of calorie restriction is not suitable for everyone and should be carried out under the supervision of health professionals. If you have Type 2 diabetes and would like to lose weight but need some help and guidance, why not speak to one of our qualified health practitioners? Sharing knowledge and experience helps to empower people to make better health decisions, we would love you to share your thoughts here so others can benefit. What are the common signs of Type 2 Diabetes? Reverse Type 2 Diabetes With A Raw Food Diet?